New to Pinballpro.com – The Buckwerx audio adapter. Unique to Pinball Pro, this special adapter works with Pinball Pro speakers and systems without pinball pro. But what is unique? This adapter offers an additional feature, you have the option with two settings. Setting 1: Plug in your headphones and the speaker system shuts off. Setting 2: Plug in your headphones and the speaker system stays on for others to hear. So buy from Pinball Pro an receive the additional benefits of compatibility with all systems and adjustability. The Buckwerx Pinball Audio Adapter is the latest innovation in pinball technology! Have you ever had a hard time distinguishing sounds through the speaker system of your pinball machine? 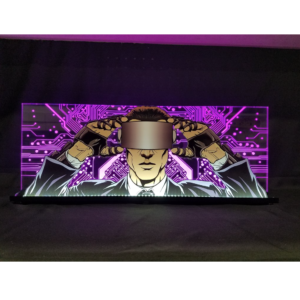 Do you ever want to play a late night game, but are stopped by your sleeping family or friends? If so, the Buckwerx Pinball Audio Adapter may be the solution! 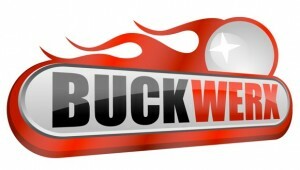 The Buckwerx Pinball Audio Adapter allows the player to experience the entirety of a game as it was meant to be played. Hear every detail with the Buckwerx Pinball Audio Adapter! The Buckwerx Pinball Audio Adapter helps players focus on the game—and helps to isolate the experience. The adapter is great for competitive play as it allows the player to focus, while still maintaining the pinball experience. How does the Buckwerx Pinball Audio Adapter Work? 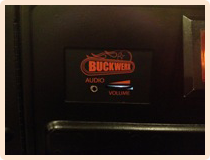 The Buckwerxpinball audio adapter works by bypassing the audio feeds that typically go to the game speakers. When no headphones are plugged in, the game works normally. But when headphones are inserted, the audio feed to the speakers is cut off, and instead routed to your ears. The volume can then be easily changed from the coin door. The audio adapter featuresa high quality black powder coat finish with a thumbwheel volume adjuster optimized for durability and convenience. Buckwerx Pinball Audio Adapters are made in Boulder, CO for quality and convenience.